After the release of former albums, mud-mastermind Hagen Bretschneider received miscellaneous soundfiles from people all over the world, who played guitar or sang vocals along to Electric Mud tracks. The idea was born to reinvent some pieces and contribute more instrumental parts for the new album. Rather recomposing than remixing. 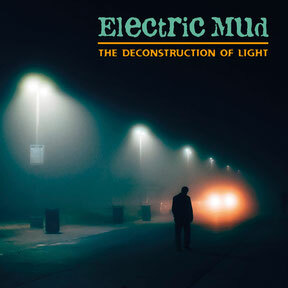 Over the years the german-based Electric Mud transformed from a live-trio into a studio project. So longtime studio-contributor Nico Walser added some of his sound alchemy to the music. The heavy guitar driven riff is a major part of many tracks, but there is still plenty of space for soft passages and panoramic atmospheres. Non of the instrumentals stay in one genre for long, moving from krautrock to ambiant, from post rock to traditional prog, from edgy to contemplative. 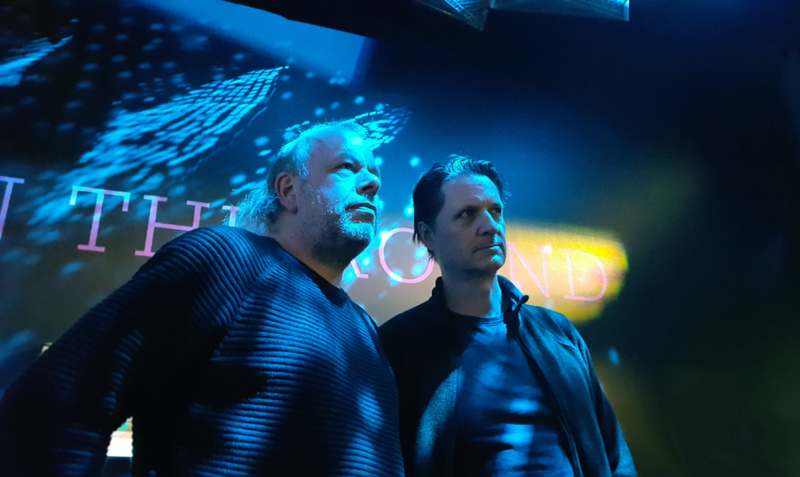 Imagine Deep Purple and Camel jammed together with Pink Floyd and Tangerine Dream - and you'll hear the pure audio-magic of the album "The Deconstruction of Light"
Hagen Bretschneider (idea, sound concept, bass) and Lennart Hüper (rhythm guitar) have always focussed on instrumental compositions. They have concentrated on their own material, producing their first album "Dead Cat on a Railroad Track" in 2013. This work was a production using only guitars, bass and drum machine. Following their success they decided to develop their music together resulting in "Lunatic Asylum" released in 2015. Hagen and Lennart were joined by Nico Walser, who produced Lunatic Asylum as well as playing lead guitar and synthesizers. 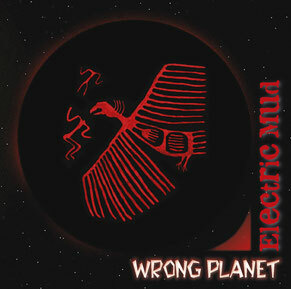 This collaboration blossomed further on their third album "Wrong Planet" featuring producer and guest musician Nico Walser again. The compositions on the first album were largely rooted in blues rock, however on Wrong Planet their music can sound like Sabbath or Zeppelin from the 70s but they combine these licks with dynamic patches from the drum machine of the 80s. The Hannover duo's style is steeped in ambiant music interspersed with melodic guitar riffs. These arrangements are sometimes inspired by the Icelandic band Sigur Ros, especially by their use of a violin bow played on the guitar, and the guitar solos would not sound out of place on a Camel or Pink Floyd album. "Post-progressive" is rock music which distinguishes itself from the persistent style of 1970s prog, seeking a return to the genre's original principles. The "post" is meant to acknowledge the development of other forms of avant-garde and popular music since the mid 1970s; it does not reference "postmodernism". Purveyors explicitly embrace new computer technologies and sounds. Some post-progressive bands still draw upon selective aspects of vintage prog, even as they actively seek to distance themselves from the style. In the opinion of King Crimson's Robert Fripp, progressive music was an attitude, not a style. He believed that genuinely "progressive" music pushes stylistic and conceptual boundaries outwards through the appropriation of procedures from classical music or jazz, and that once "progressive rock" ceased to cover new ground – becoming a set of conventions to be repeated and imitated – the genre's premise had ceased to be "progressive". According to Paul Hegarty and Martin Halliwell, post-progressive did not directly derive from psychedelia, folk, and jazz as prog rock did, instead citing "explicit reference points of post-progressive music" lying within ambient, folk rock, forms of jazz, krautrock, the minimalism of New York art rock, and electronic music. Academic Kevin Holm-Hudson argues that "progressive rock is a style far more diverse than what is heard from its mainstream groups and what is implied by unsympathetic critics ... one may wonder where progressive rock 'ends' and becomes psychedelia, free jazz, experimental art music, or heavy metal. He categorizes post-progressive as a subgenre of progressive rock, whereas post-rock is a subgenre of alternative rock. Nosound's Giancarlo Erra believes that "post-prog"— deployed by the label Kscope—denotes a mixture of progressive rock and post-rock. Hegarty and Halliwell note: "Post-progressive identifies progressive rock that stems from sources other than progressive rock. Post-Rock is a form of experimental rock characterized by use of rock instruments primarily to explore textures and timbre rather than traditional song structure, chords or riffs. Post-rock artists typically unify rock instrumentation with electronics and are often instrumental. Elements may be borrowed from genres such as ambient music, krautrock, psychedelia, prog rock, space rock and minimalist classical. Post-rock groups generally make greater use of soundscapes. The goal, in our view, is to find a fresh variation, a surprising genre mix, an interesting sound and a strong emotional impression. And to honor our heroes. We are standing on the shoulders of giants!